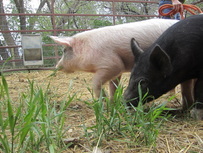 Why not shop local, support your local farm mamas, and gift your family with the joy of some farm time with chickens, pigs, goats and horses! 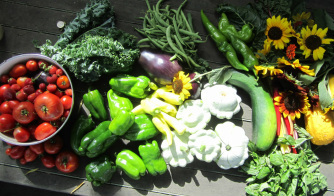 We have some amazing jams made by Veggie Wrangler Terri, who keeps her horses with us and uses some of our growing space here at the farm. 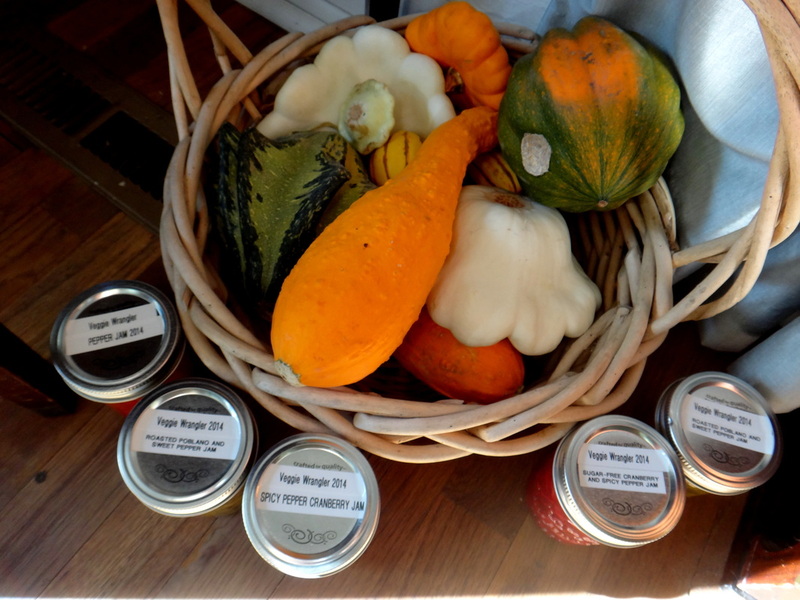 They are pepper jams made with Laughing Buck Farm peppers: Sweet red pepper, spicy cranberry pepper, and roasted poblano. They would make a nice addition to a holiday cheese spread. They are $6 a jar-- send me an email to coordinate pickup. 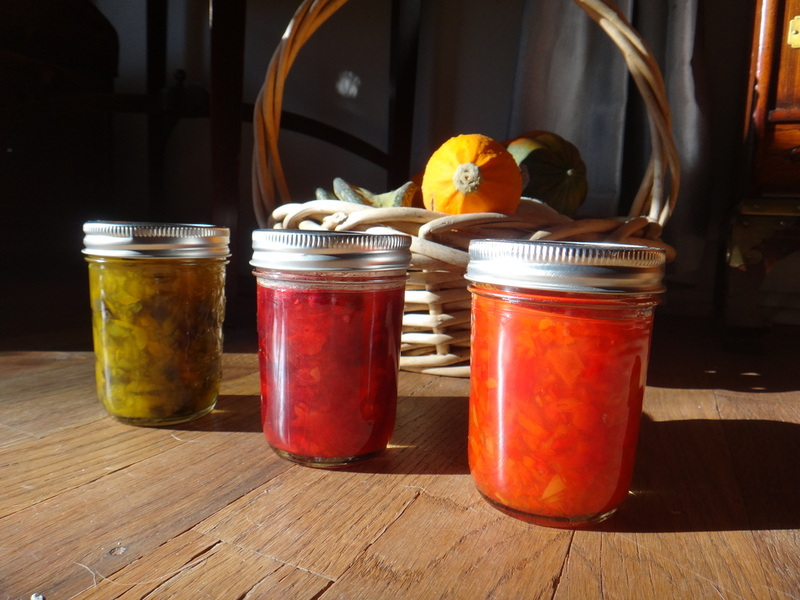 Two NEW flavors: Cranberry Pepper Jam (medium) and Fire-Roasted Poblano & Sweet Yellow Pepper Jam (No heat). These flavors also available in Sugar-Free jams made with Organic Stevia. 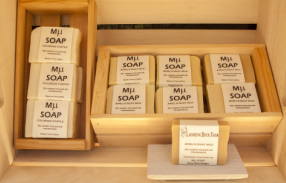 December, 2015: We are all out of soap at this time but stay tuned for availability. 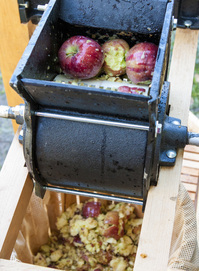 We have a beautiful cider press that includes a crusher and press that we will use with you. 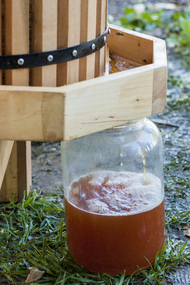 Set up a time to bring your apples to the farm and we will show you how to make cider. We ask that in return you share some of the cider with us as a barter. Email laughingbuckfarm at gmail dot com to arrange a time to come by. 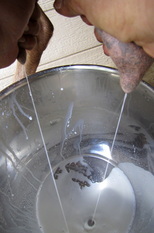 Raised right here on a diet of garden thinnings, windfall apples, goats-milk whey, and kitchen leftovers. 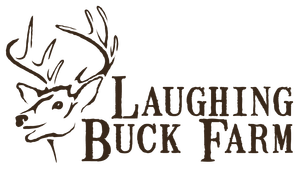 Email or check the Laughing Buck Farm Facebook page for current availability. 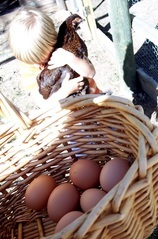 Sorry, our hens have slowed down and we do not have any eggs available at this time. 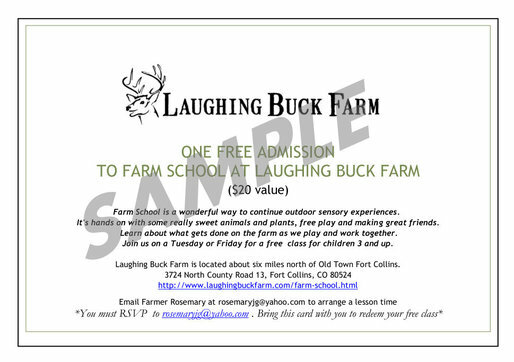 Email or message me on the Laughing Buck Farm Facebook page. *apples, *peaches, *plums, *strawberries... and more!